Systemic therapy for patients with hormone-sensitive oligometastatic prostate cancer is non-curative and associated with toxicities. 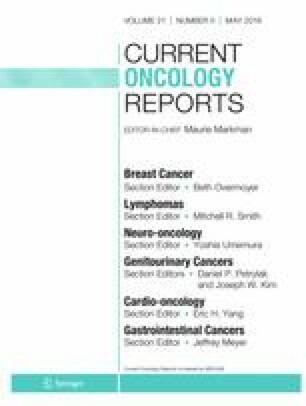 Meanwhile, this population presents unique clinical opportunities to improve outcomes, including the demonstrated benefits of radiotherapy to the primary tumor or oligometastatic sites. Recently published randomized studies have demonstrated benefits with the addition of radiotherapy to the primary disease or metastatic lesions in patients with synchronous or metachronous disease. The introduction of novel PET imaging has improved the sensitivity and specificity for detecting metastatic disease and provides an opportunity to better select patients who will benefit from local therapy. The data presented in this review supports revisiting practice guidelines for patients with hormone-sensitive metastatic prostate cancer, particularly in relation to the role of radiotherapy to the primary tumor and sites of oligometastatic disease. Future trials will aim to further establish the role of metastasis-directed therapies in metachronous, synchronous, and castrate-resistant disease. Gargi Kothari declares that he has no conflict of interest. Piet Ost declares that he has no conflict of interest. Patrick Cheung is supported by an investigator-initiated industry research grant (to fund a current Phase I/II trial in hormone-sensitive oligometastatic prostate cancer) from AbbVie. Pierre Blanchard has received research support through grants from Astellas and Amgen. Alison C. Tree has received research support through grants from MSD and Elekta, and has received compensation from Bayer, Astellas, Janssen, and Ferring Pharmaceuticals for service as a consultant. Nicholas J. van As has received both research grants as well as compensation for service as a consultant from Accuray. Simon S. Lo served as an expert group member for the Elekta ICON and also received partial research support from Elekta for the International Oligometastasis Consortium (ended in July 2016). Drew Moghanaki has received reimbursement for travel expenses and compensation for service as a consultant from Varian Medical Systems. Andrew Loblaw has received research support through grants from AbbVie, Astellas, Janssen, Sanofi, AstraZeneca, and TerSera Therapeutics; has received compensation from AbbVie, Bayer, Astellas, Janssen, Sanofi, AstraZeneca, and TerSera Therapeutics for service as a consultant; has received non-financial support from Astellas, Janssen, AstraZeneca, and TerSera Therapeutics; and has a patent issued on a prostate immobilization device. Shankar Siva has received research support through grants from Varian Medical Systems and MSD; has received compensation from AstraZeneca, Bristol-Myers Squibb, Astellas, Roche, and Janssen for service on advisory boards; and has received reimbursement for travel expenses from AstraZeneca Bristol-Myers Squibb, and Astellas. Nair B, Wilt T, MacDonald R, Rutks I. Early versus deferred androgen suppression in the treatment of advanced prostatic cancer. Cochrane Database Syst Rev. 2002;(1):CD003506. https://doi.org/10.1002/14651858.CD003506. • Boeve LMS, Hulshof M, Vis AN, Zwinderman AH, Twisk JWR, Witjes WPJ, et al. Effect on survival of androgen deprivation therapy alone compared to androgen deprivation therapy combined with concurrent radiation therapy to the prostate in patients with primary bone metastatic prostate cancer in a prospective randomised clinical trial: data from the HORRAD trial. Eur Urol. 2018. https://doi.org/10.1016/j.eururo.2018.09.008 First randomized Phase III trial of ADT +/− prostate radiotherapy in patients with synchronous oligometastatic prostate cancer, which showed an overall survival benefit to the addition of radiotherapy, although this was not statistically significant. An unplanned subgroup analysis showed a greater effect size for survival in patients with low volume metastatic disease (not statistically significant). Lohaus F, Zophel K, Lock S, Wirth M, Kotzerke J, Krause M, et al. Can local ablative radiotherapy revert castration-resistant prostate cancer to an earlier stage of disease? Eur Urol. 2018. https://doi.org/10.1016/j.eururo.2018.11.050.